Dubai, UAE, 13 September 2017: Saudi Arabian investors will continue to put their faith in Dubai real estate because the emirate’s property market has a proven reputation for delivering long-term benefits, a developer said at Cityscape Global today. Okbah Abdulkarim, Chief Operating Officer of ARTAR Real Estate Development, says Dubai’s status as a safe haven for real investors remains intact and major developments driving the economy are building investor interest, particularly from Saudi. Official Dubai Land Department figures show that, in the 18 months from January 2016 to the end of June this year, the biggest GCC investors in Dubai real estate other than Emiratis were Saudis who made a total of 5,366 transactions worth AED 12.5 billion. “Many Saudis still see Dubai as a desirable city to visit because it’s close by, there are shared religious and cultural values and a superb lifestyle here,” said Abdulkarim, currently overseeing ARTAR’s Mada Residences tower in Downtown Dubai which is due for completion on schedule by 2Q 2018. “There’s a lot of diversification in the investment opportunities here in Dubai and it’s a city that Saudis know well, and trust. Our Mada Residences project has attracted a lot of Saudi investors. ARTAR believes the biggest volume of real estate investment in Dubai will continue in prime locations like Downtown, where Mada Residences stands out for a number of reasons, not least its Signature Collection of nine elite 4-bedroom apartments which have been taking centre stage at the company’s Cityscape Global exhibition stand this week. With superb Bianco Venus marble floors, European designed kitchens and some of the most expansive terraces in the Downtown district, the apartments range in size from 2,852 sq ft to 3,234sq ft and offer the all-round quality and style desired by astute investors and end users. Uniquely, the 193 larger than average 1, 2, 3 and 4 bedroom luxury apartments include the only two-bed units with maid’s rooms in the entire Downtown district. Each home is intelligently designed to offer genuine liveability, meaning more space and easy movement for residents. 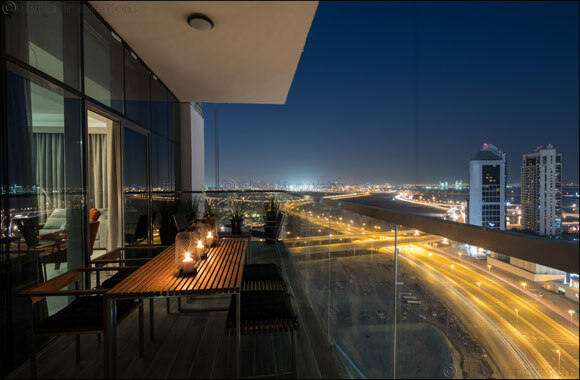 Mada Residences is a one-minute walk from Dubai Mall and within easy reach of other major attractions such as the Dubai Opera and a huge wealth of dining, entertainment, retail, leisure, cultural and other facilities.